This is Day 9 of your 30-Day Affirmation Challenge where you will learn how to create your ideal, Level 10 dream life in every key area of your life. We are using Hal Elrod’s Miracle Morning as the basis for this discussion. I hope you were able to listen to the “Create Your Day” meditation this morning. If you haven’t had a chance to listen just click here. Each day that you and I wake up we face the problem, to live beyond the average, mediocre life and live to our fullest potential. Each person’s greatest challenge. To rise above our excuses, always do the right thing and give 110% to create the Level 10 life that we truly want. 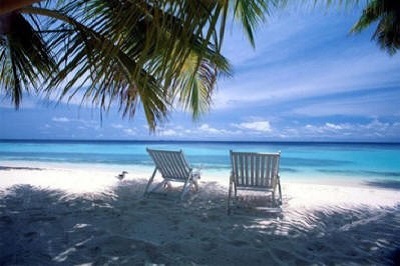 The life of abundance and without limitations. Although most everyone wants the life of abundance about 95% of people never come close as they settle for. 54 will be broke and dependent on family, friends, relatives, and the government to care for them. This means that 95% of people will struggle their entire lives while only 5% of people will have a secure, life of freedom. It’s important to recognize that whether you live the life of 95% or the 5% is a choice, your choice. The life of the 95% means that you will live a life of average at best where you will never create the life you really want. Being average means that you will choose to settle and live well below your potential and struggle every day of your life in almost every aspect of your life. This will include your friends and family as well unless you do something about it NOW and commit to living out your true potential. If you want your life to be different than the 95% you must be willing to do something different. To create and live a Level 10 life of the top 5% you must be willing to do what the top 5% have done. You must become the person you need to be to create the success, freedom and quality of life that you want, FIRST, before you can attract and create that Level 10 life. This means living a life of purpose and service to others while you consciously look to create a Level 10 Vision in every aspect of your life. This means taking a personal inventory of the key areas of your life, honestly assessing where you are today and what your ideal vision for each area holds. The “Wheel of Life Assessment” example in Hal Elrod’s 30 Day Miracle Morning Transformation, provides a way for you to assess the key areas of your life. It will help you get clear on your current levels of success and your satisfaction for each key area of your life. Each key area of the wheel has 10 levels of measured success/satisfaction. Of course your goal is to being living your best ideal life as a “Level 10” in each area. In order to create your “Level 10” life you first need to do an honest assessment of where you currently are today. On a scale of 0-10 rate your current levels of success/satisfaction in each area. Then color in the space between “0” and your rating. Once you complete the areas you will have a clear picture of which areas you’re doing well in and those areas you need to focus on for the next 30 days to create your Level 10 life. Then you will go through and thoughtfully define “Your Level 10 Vision” section of the Miracle Morning 30 day guide. I will be providing you another free gift bonus as part of this 30 Day Challenge. This is the “Evening Review Meditation” by Jack Canfield, author of Chicken Soup For The Soul and co-presenter creator/presenter in Effortless Success. This meditation will help accelerate your growth as you review, learn, celebrate your achievements and grow from each day. This meditation, coupled with the “create your day” meditation from yesterday, is invaluable! Repeat today’s affirmation, or one you create of your own, as often as you think of today. Download, if you haven’t already, the Miracle Morning 30 Day Transformation Kit. In the Wheel of Life Assessment, rate yourself from 0 to 10 as discussed earlier in this newsletter. 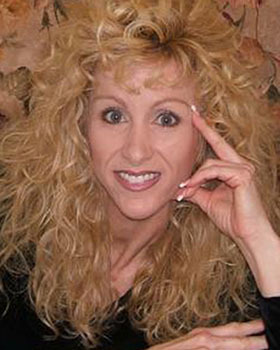 In the Miracle Morning 30 Day Transformation Kit begin to complete “Your Level 10 Vision”. 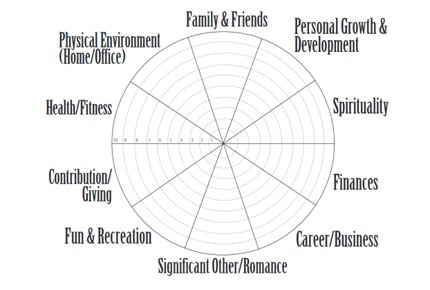 This is where you define each of the 10 key areas from the Wheel of Life Assessment what “Level 10” means to you. Listen to the Evening Review Meditation. Write down your experience as explained in the meditation. Invite a friend to take this challenge with you. If you enjoyed this post, Day 9 Affirmation: Create Your Level 10 Dream Life, share and/or comment below!